In the two decades since the fiery tragedy on January 28, 1986, which marked the U.S. space program’s first fatal in-flight accident, no historians have fully recorded nor has the technical aerospace community fully discussed the reasons the mission failed and resulted in the death of seven astronauts. Not even the 1986 Congressional hearings brought forth a clear statement of what happened, how, and why. As the premiere book publisher in a state well known for its support of aerospace development, we are proud to present the first (and only) insider’s account of the decisions leading up to the ill-fated launch. Truth, Lies, and O-Rings by Allan J. McDonald with James R. Hansen penetrates the silence, the speculation, and the cover-up in a whistle-blowing page-turner. Allan McDonald is a former director of the Space Shuttle Solid Rocket Motor Project for NASA contractor Morton Thiokol, a position that placed him in the launch room, objecting to the decision to move forward with the launch. One of the few insiders who never signed a confidentiality agreement, McDonald candidly uncovers acts of retribution directed against him by his company and NASA. 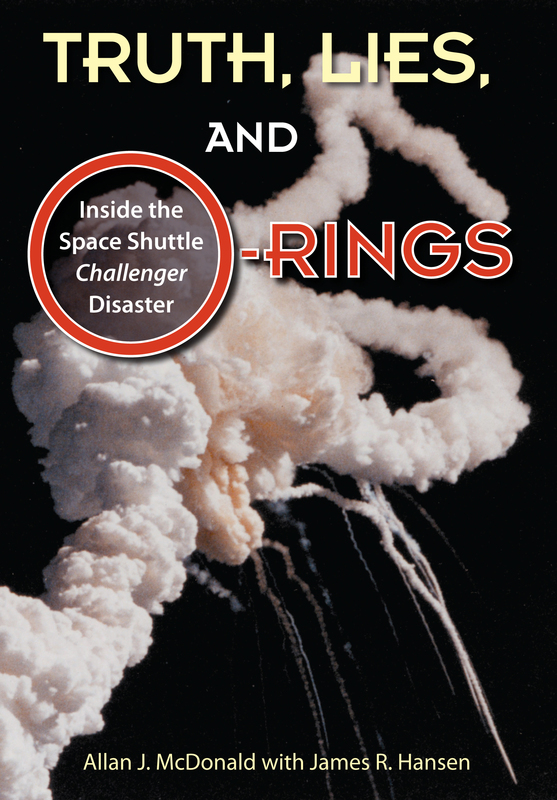 This book, written with aerospace historian James R. Hansen, reveals for the first time, the cause of the O-ring failure and the first awareness of the foam insulation problems that would later down Columbia. It is a fitting honor not only to those who died but also to those forced to remain silent in order to preserve corporate interests. *This article originally appeared in the print edition of The Florida Current.